Mobblo:  Dungeons & Golf World - New Pay Tours Have Come! 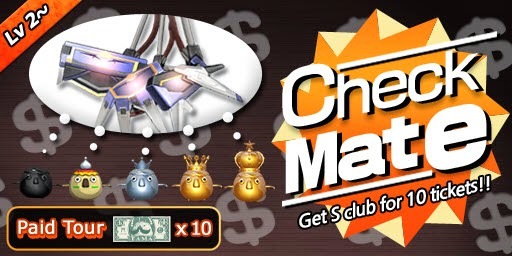 Dungeons & Golf World - New Pay Tours Have Come! The joining fee is 10 tickets. and the S clubs in another 4 slots of the roulette. paying 10 tickets and joining the tour would be no loss, right? And here comes another pay tour for 7+lv dungolers! The joining fee is only 2 tickets. among 24 ones of the roulette with a certain rate! 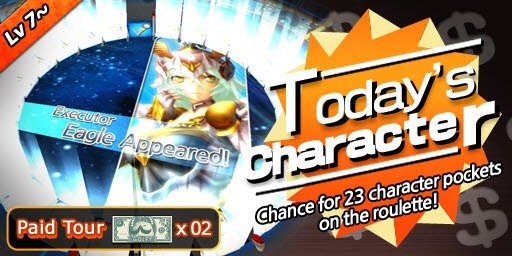 Please do remember, the character on the roulette is changed everyday. Check the below and don't miss the chance!